Agreement reached to increase minimum wage for seafarers 21 11 2018 The International Transport Workers Federation (ITF) and the International Chamber of Shipping (ICS), convened in Geneva at the Joint Maritime Commission Subcommittee on Seafarers Wages. 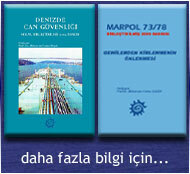 The two organizations decided to update the minimum wage for an able seafarer by 27 USD over the next 3 years. ITF and ICS convened at the Joint Maritime Commission Subcommittee on Seafarers Wages, to review the ILO Minimum Wage for an Able Seafarer (AB) provided for in Code B of the Maritime Labour Convention, 2006 (as amended). They decided to update the minimum wage for an able seafarer by 27 USD over the next 3 years. The wages include an increase of 4.5% on the current rate of 614 USD, with an increase of 4 USD as of 1 July 2019. There will also be an increase of 7 USD as of 1 January 2020 and a final increase of 16 USD as of 1 January 2021. The social partners, with the support of the ILO Office, were presented with the current consumer prices changes indices, along with the impact of fluctuation of the USD in the countries that represent the basis for a formula for the calculation of the recommended minimum wage for an AB. It was decided that during the period considered, the 614 USD, which is the current ILO minimum wage rate for an able seafarer, was below the purchasing power stated in the ILO report prepared for consideration at the meeting. The social partners tried to support their respective positions, by providing arguments and economic forecasts. These included the volatility of the shipping industry, the need to recognize the seafarers’ commitment and the need to agree fair and sustainable conditions. Commenting on the occasion, Mark Dickinson, the Seafarers’ Group spokesperson, informed that there was strong opposition from the shipowners side for a significant increase.